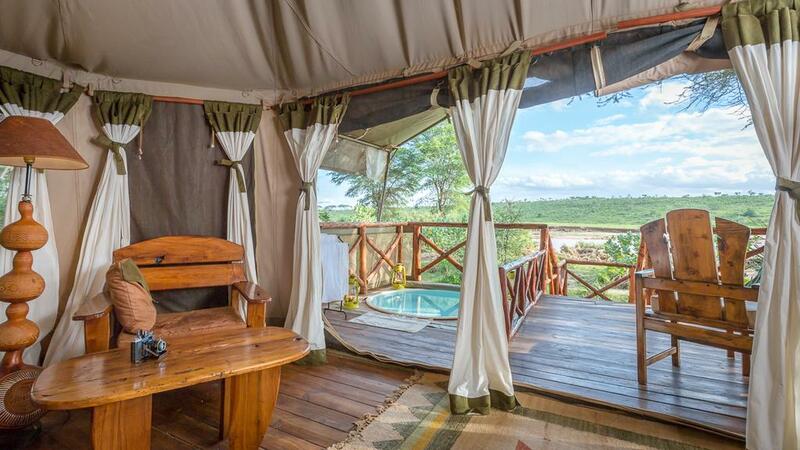 This small and exclusive Elephant Bedroom Camp is located within the Samburu National Reserve right on the banks of the Ewaso Nyiro River. 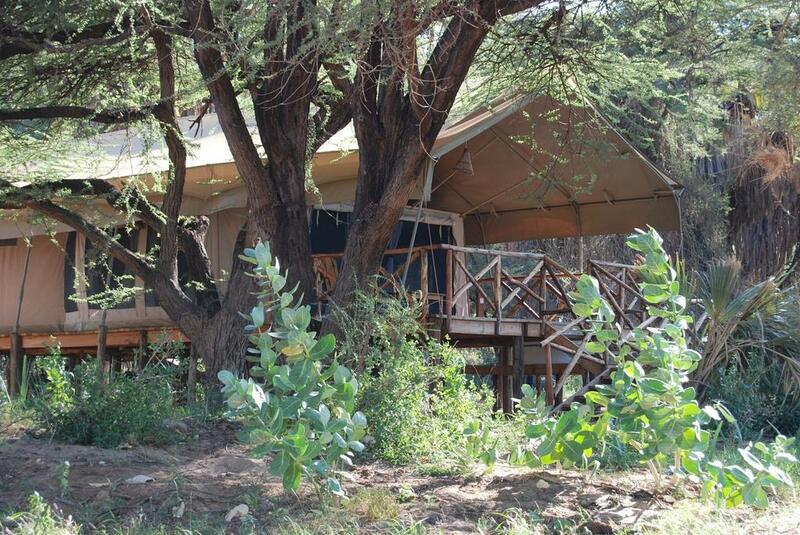 The camp has a lovely setting amongst the many varieties of indigenous trees and shrubs. 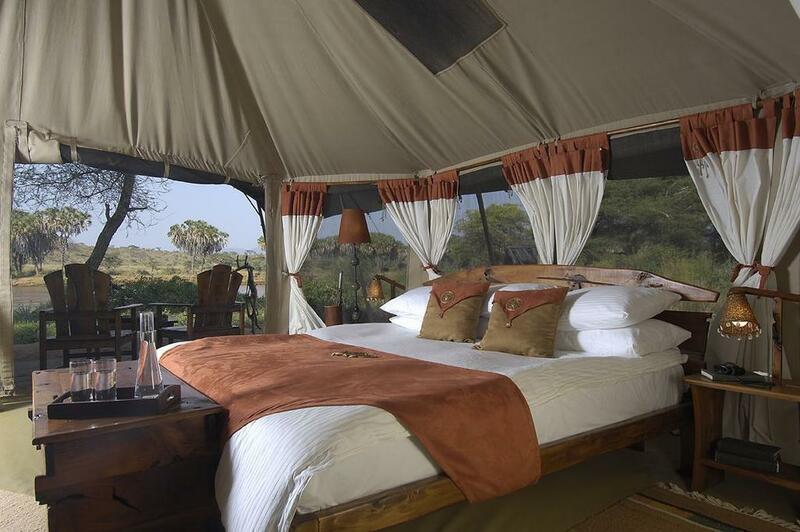 With just 12 luxury tents and attractive public areas – including elegant lounge and dining tents – the camp provides the perfect accommodation for any Samburu safari. Guests are truly at one with nature as the camp is regularly visited by elephant and game which shelter under the trees. 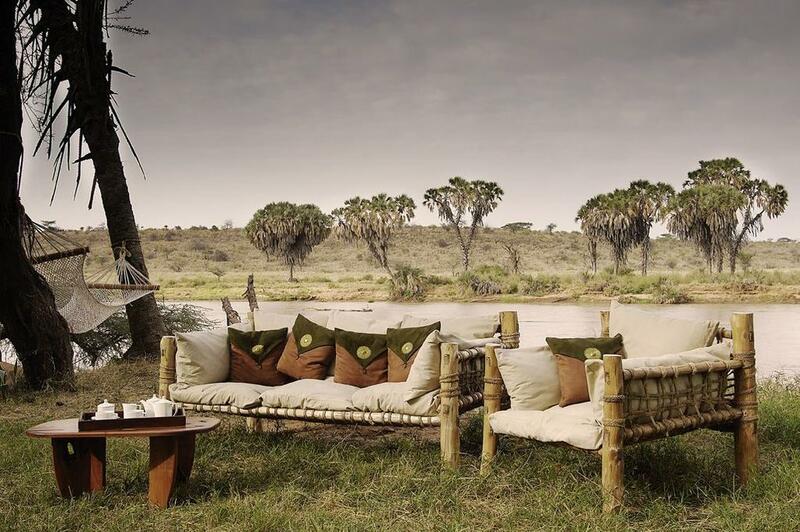 Guests at the camp are accommodated within the 12 spacious safari tents – each is nicely furnished in a rustic African style while offering every comfort expected of a luxury safari camp. The food and service at the camp are of a high standard. A generous breakfast and lunch (three courses) are served outside when possible. The four course evening meal is either taken by candle-light in the open-front dining area or al fresco. The camp has a resident naturalist who imparts a wealth of knowledge. The educational guided bush walks take guests as close as possible to the indigenous plants and animals to learn how the local people use the surroundings in their everyday routine. The camp also has regular visits to a local village where guests can learn more about Samburu culture and witness a little of Samburu life. Would you like to stay at Elephant Bedroom Camp? Check here for the best prices & offers!